Engineered specifically for dental lab applications, the high-capacity ProJet 3510 DPPro 3D printer creates precise, customized dental models for immediate casting, pressing, patient education and testing. The ProJet 3510 DPPro is powered by MultiJet (MJP) printing technology, allowing dental manufacturers to quickly print accurate wax-ups for the production of prosthetic devices, manufacture precision working models in a stone-like material, and produce drill guides in durable plastic material. The ProJet 3510 DPPro features round-the-clock operation and same-day cycle times, leading to dramatically reduced lead times and costs. With a choice of materials that fit into existing production workflows, including USP Class VI-capable VisiJet® Stoneplast, the ProJet 3510 DPPro makes accepted production methods faster, easier and more effective. The large build volume means more wax-ups and models in less time, and the high accuracy means better results and happier clients. 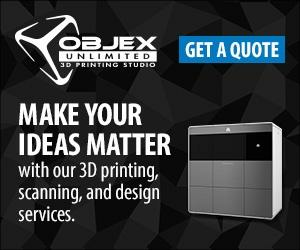 In addition, efficient material use, low-maintenance operation, and a five-year print head warranty allow you to print with confidence and keep costs down.